In the last MicroStation 3D tutorial, we covered the basic of solid modeling. We use extrusion and subtract solid. This time, we will cover more tool: create solid by revolution. 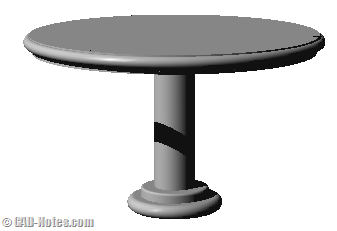 In this tutorial, we will create this table. To create this table, the same rule apply: we need to draw a closed profile first. 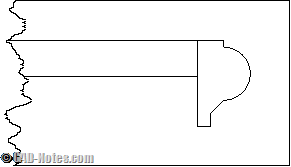 You can draw this 2D profile in front view. The dimension unit is in mm. You don’t need to draw the exact size in this tutorial. 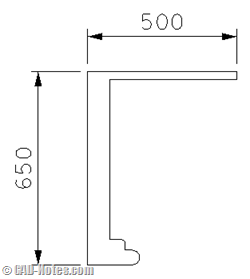 If creating the profile in one step is difficult, you can draw separate lines and arc. 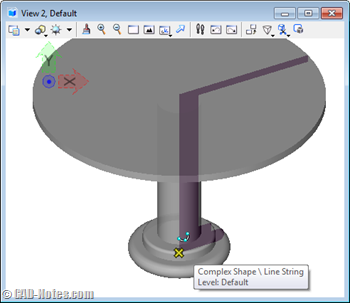 Then convert them to single closed profile using create complex shape tool. After we created the profile, now we will revolve it to make a solid. Find the tool in create solids. After you activate it, check your tool options. You can define the axis by defining points, using view axis (so it depends which view you are working), or using drawing axis. In this tutorial, I use drawing Z. 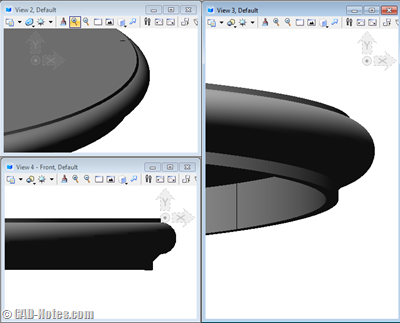 If you didn’t draw the profile on front view, then you might need to use other axis. Change the angle to 360 degrees. We want to revolve it to full circle. If you want to keep the original profile, check keep original. Sometimes we need it when we want to create more objects based on that profile. You can leave it uncheck for now. Now we already set the options. Pick your profile from view. MicroStation already know that you want to revolve it along Z axis. But you need to pick a point where you want to revolve it. Use image below as reference. You can continue this table by adding additional details. In this example, I created a profile like this at the edge of the table. After I revolve it, I get this detail on my table. Now can you add your own details? Try to combine it with extrusion too. If you have trouble following this tutorial, you might want to check the complete MicroStation tutorial here.